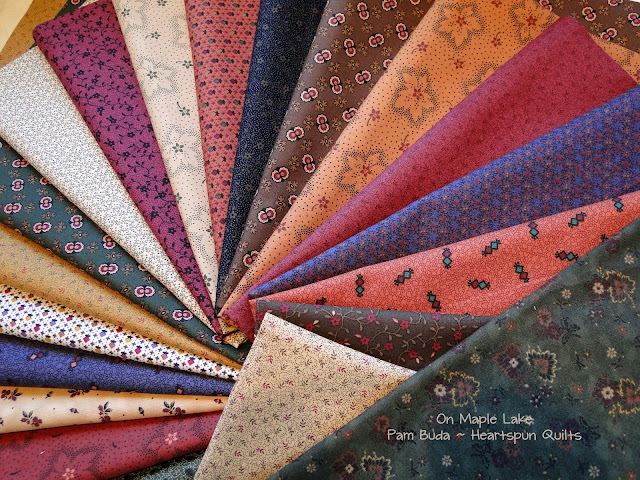 Heartspun Quilts ~ Pam Buda: On Maple Lake Coming Soon!! Very Nice, Pam! Look forward to ordering them when I see my salesrep in March!! Fall colors are my favorite after Reproductions!! Your new On Maple Lake collection is gorgeous, Pam. Looking forward to March, and also to what you made with those beautiful half-square triangles. This line of fabrics is wonderful and I love the colors! I'm looking forward to this new collection! I do have a question: What is your favorite method of making HSTs. & a 2nd question: What is your favorite method of making Flying Geese? Thanks so much! 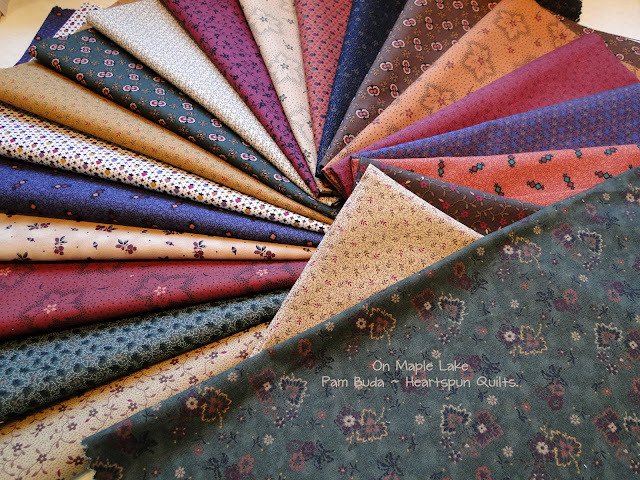 Pam, these fabrics are beautiful and I'm sure much more in person!! Can't wait to see them. These fabrics make my quilters heart beat faster! So lush and rich in the colors of Fall! Cannot wait to get my hands on these!! Oh My Goodness! Absolutely Gorgeous Colors! 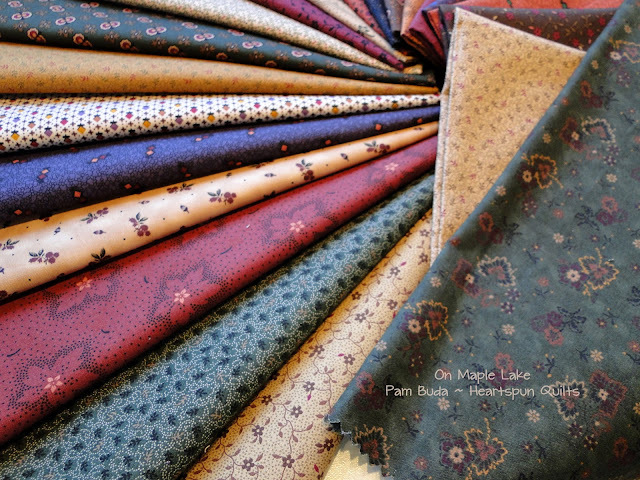 I can hardly wait for this to come out is precuts, fat quarters are just too much fabric for what I make. LOVE! LOVE! LOVE! Oh yum! I can't wait until they arrive at Cyndi's! !